Optimize your time with a shared online planning. Manage your resources and your availabilities ! 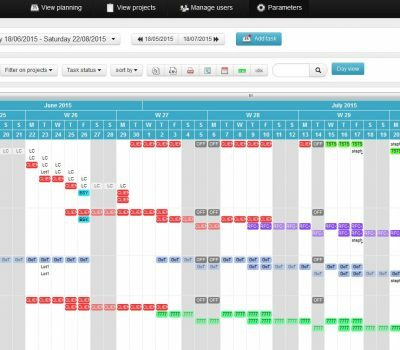 SOPlanning is an online planning tool designed to efficiently organize projects and tasks. Assign work for each member of your team, regardless of your ​​activity. The keys of the tool: a list of projects, a list of users, and tasks assigned on different projects, through online tool on the web and safely. Optionally, resource / material and location management if you wish. Unlike a classic agenda (google agenda or outlook), SO Planning allows you to have real staff management on the internet via your computer or your phone. You can work by service, and organize your project very simply. Managing schedules in multiple teams is thus easy, a global dashboard helps you visualize the complete schedule of your project. This list is not exhaustive but reflects the sample of activities covered by the tool. The evolution of technologies allows today to have an online schedule shared by all employees, with a simple internet connection. It is therefore a question of choosing the tool that will be effective for the company, and will allow to have an optimal visibility on workload, projects, holidays, etc. SOPlanning brings this visibility with simple functionalities and a clean design. You quickly see who does what, when, and on what project. 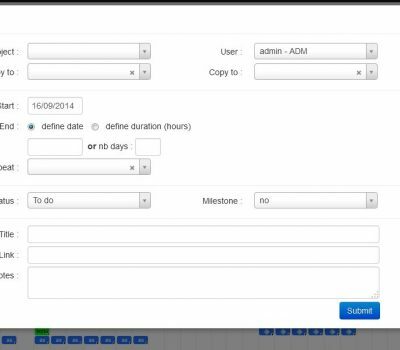 The classic online calendar is no longer sufficient to meet this need, create a simple schedule and shared with your employees to manage your resources. You can even have several schedules separating them by team, this making it possible to partition your projects and people according to your activity. Our online planning solution offers email notification, synchronization with Google Calendar and Outlook for greater efficiency. SO Planning is an open source tool, customizable so that the logo and the colors correspond to your company, in order to make comfortable the use by all the actors of the projects. You can easily give access to your customers or service providers to centralize your exchanges on the tool. Since this schedule is available on mobile, you can work with all your employees, whether they are on several sites or locally. This pooling of information allows for better sharing of responsibility, promoting coordination and effective monitoring. The experience of our customers shows that we bring them flexibility and visibility on their entire process, making their project management more efficient than with their old tools, for those who had them. Being able to modify the schedule at several times at the same time is an essential point for a dynamic society. We offer a free version of our tool, without support for use or installation. We can also offer a customized version with your business rules. Contact us to study your needs. Check out the screenshots below, or try the online demo . We also offer custom versions based on your business rules, contact us . With Pro version, do not worry about installation and backup! SOPlanning has been used for more than 10 years for production / project management. Simplicity has always been SOPlanning's main theme: it must remain simple and easy to use. It quickly allows you to plan the work of each person, without requiring any specific training. "A good tool is the one all users have adopted". All those who need to plan the work of several people! Our clients include R & D teams, civil engineering companies, car or facilities rental agencies, web/digital agencies, consulting firms, etc. More than 73,000 people and/or companies have already tried SOPlanning! 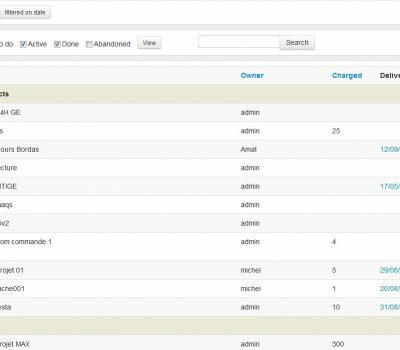 SOPlanning has always attached great importance to user contributions: new modules, feature suggestions, bug reports, etc. SOPlanning continues to evolve every day, taking into account opinion of thousands of users all over the world, participating in its constant improvement.